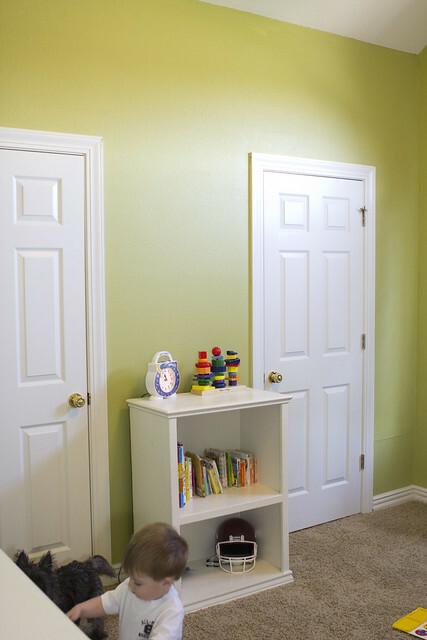 New House: Brayden's Room, The Guest Room, and an Addition to Entryway. Sorry I got off the new home posts bandwagon for a bit. Life has been chaotic at best, and I've just not had the time (nor the energy) to take pictures of the house. 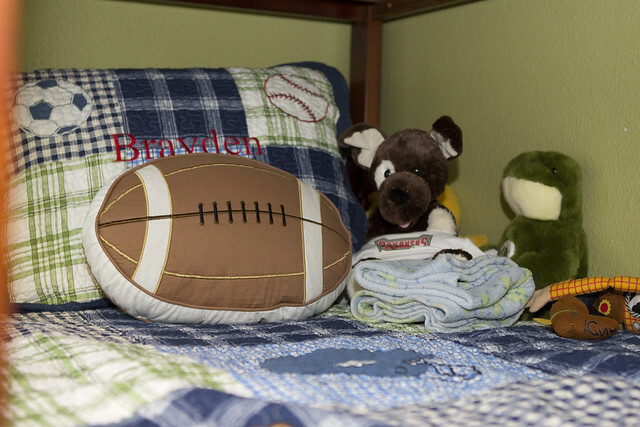 Plus, I kind of wanted to wait to get Brayden's big boy bed before I took pics of his room. So here we are. view to the left from the doorway. One of the things we loved about this house is that it has one LARGE closet that spans the width of the room, but has two doors. 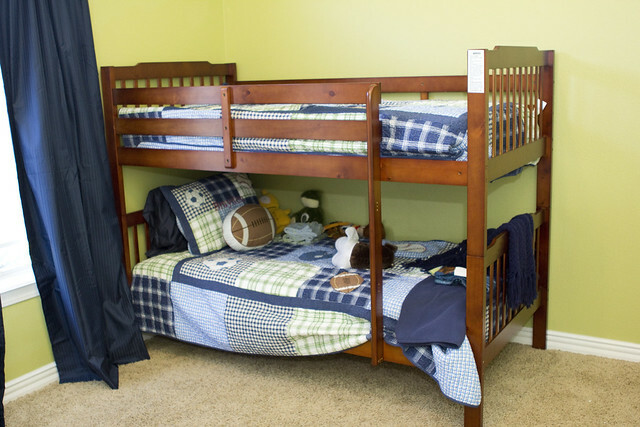 This makes the room ideal for the boys to share one day, without compromising closet space. I decided I'd combine the guest room into this post since it's pretty plain and we've not done anything to it yet. The guest room is the smallest room in the house, and so it probably won't always be a guest room... I'll probably convert Connor's room to a guest room when Connor moves to B's room. But that will be a bit before that happens, so for now, this is our guest room. have yall caught the common theme that Connor likes to follow me wherever I go? ha! This view is standing in the doorway looking left. 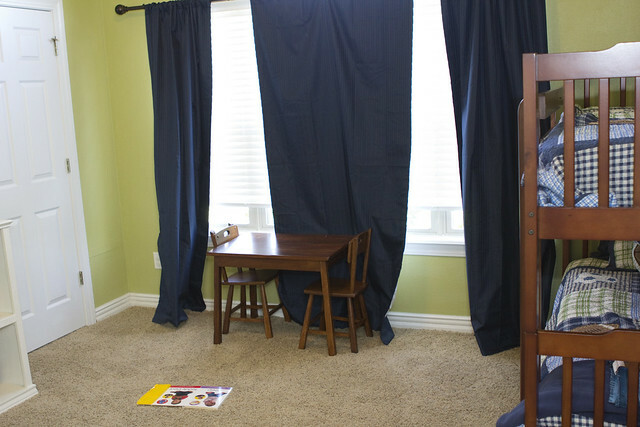 This room also has a large double type closet like Brayden's room. 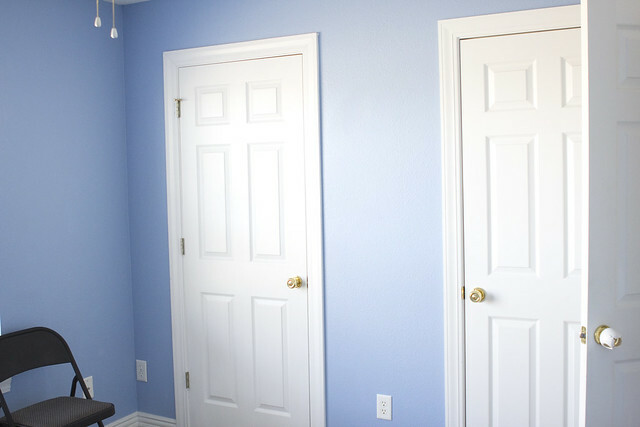 I'm not a fan of the blue paint, and will probably eventually paint the room, but that's on the bottom of our to-do list at this point. Also, you'll notice that there's no bed. We're still contemplating whether to get a king bed for us or to leave ours alone and just get another queen for the guest bedroom, so right now the guests get an Aero airbed that we pull out if we have visitors. It's not ideal, but it works for now. 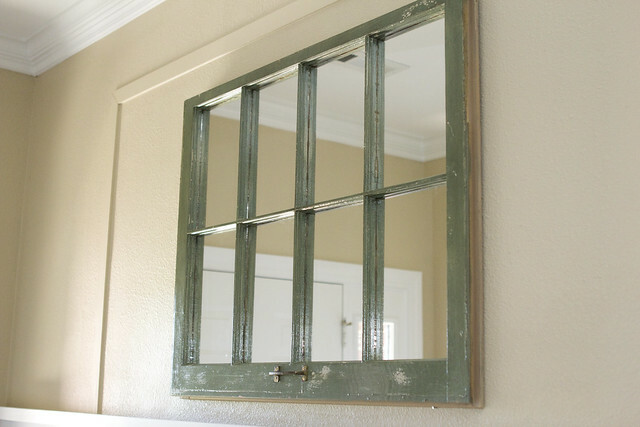 Do you love the antique window turned mirror?!?! a close up. I just love it! 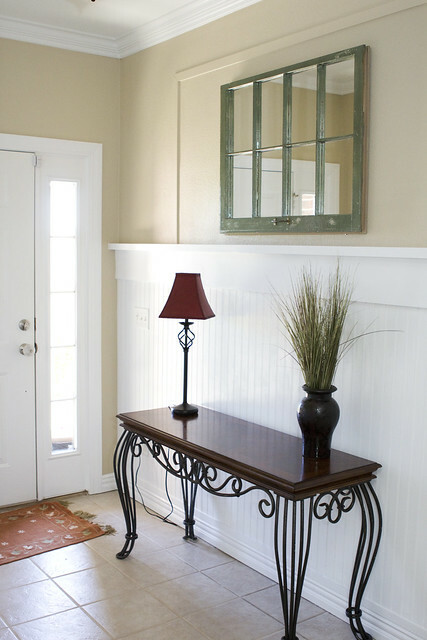 Drew also purchased an old antique window that is in original form that we plan on refinishing and using as a picture frame in the living room. I can't wait till we get it finished! If you're late to the new house pictures, here's some of my previous posts so you can catch up. Oh and one last thing... I have a new way I clean windows around my neck of the woods, and it's kid friendly. Be sure to check out my review of Shaklee's Basic H2 cleaner, and see how you can win your own "green" cleaner!